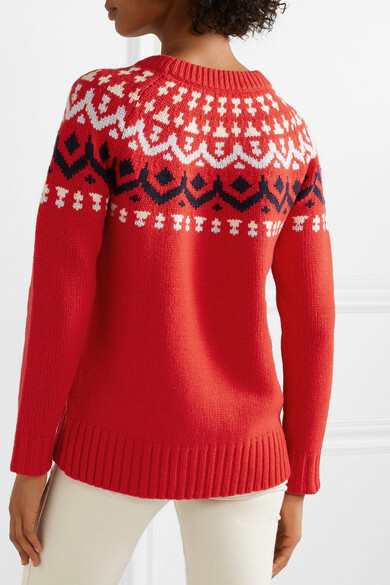 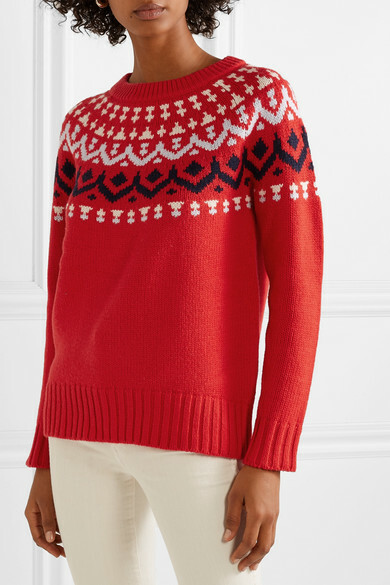 J.Crew's 'Ivan' sweater is the quintessential winter piece - you can wear it solo tucked into jeans or après-ski layered over a slim-fitting turtleneck. 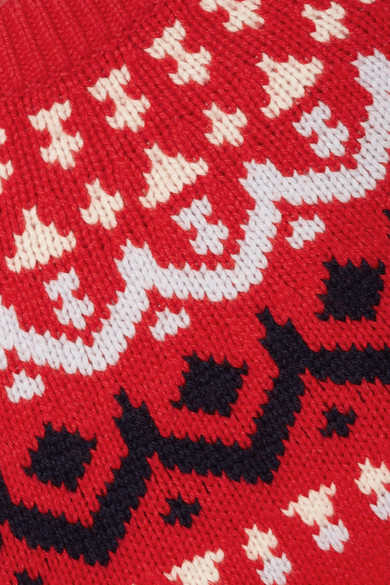 Spun from cozy merino wool-blend, it's knitted with a classic Fair Isle pattern and has chunky ribbed trims. 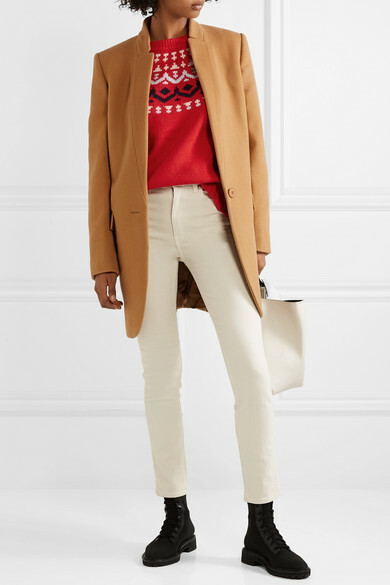 Shown here with: Khaite Jeans, Michael Kors Collection Coat, Loeffler Randall Ankle boots.